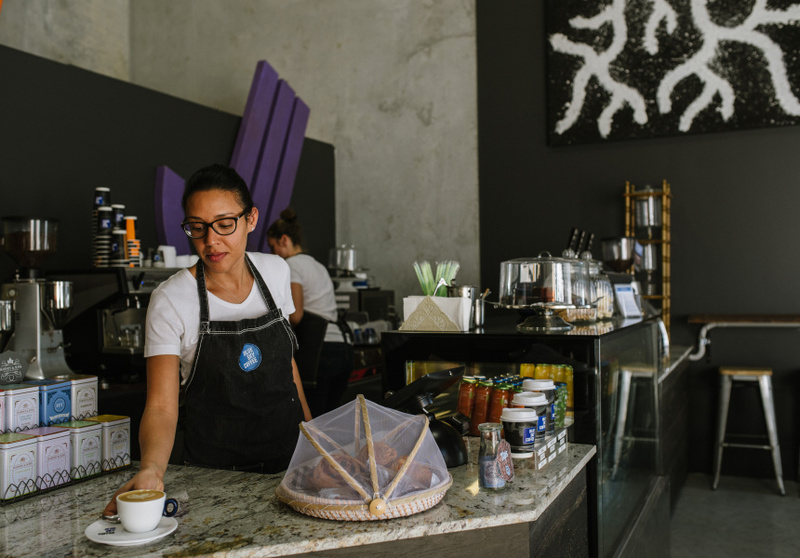 In March 2017 Paul and Tanya Licina, owners of Blue Sky Coffee, moved their business in Newstead to a warehouse on Woolloongabba’s Lerna Street. And while the new space is smaller than the old one they can still roast beans on-site. The cafe is designed primarily for takeaway coffee but features a large communal wooden table and high-stool seating for those who want to linger. 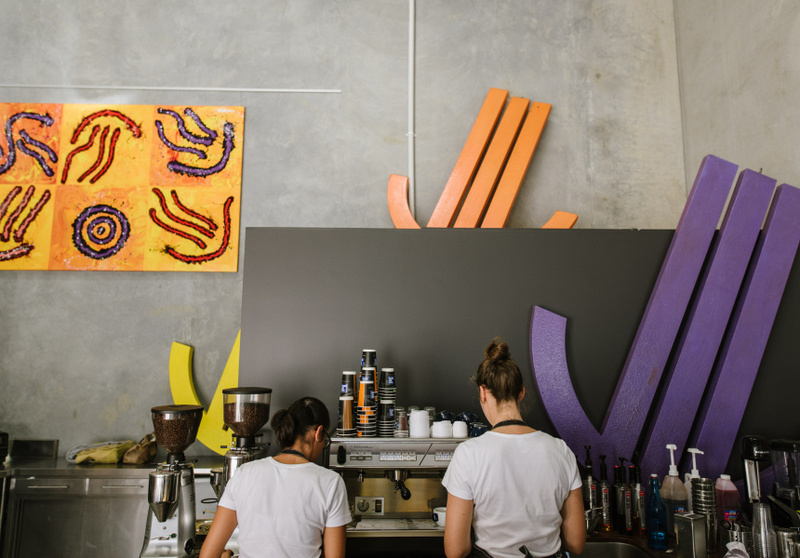 The space is decorated with works by Paul’s favourite Indigenous artist, Michael Nelson Tjakamarra; paintings on the walls and lightning-bolt sculptures hanging from the ceiling. The cafe serves a selection of Crust & Co baked goods. 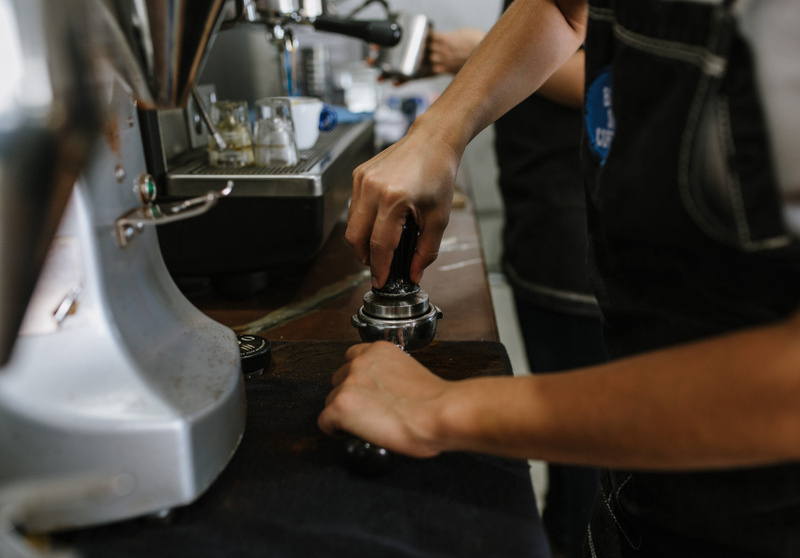 Blue Sky’s Ebony Ivory house blend runs through a Nuova Simonelli machine and a Victoria Arduino lever espresso maker produces a darker Italian-style coffee using the Midnight Oil blend. There’s also a decaf option and two single origins, which will rotate regularly.